The surprising truth behind Barack Obama's decision to continue many of his predecessor's counterterrorism policies. 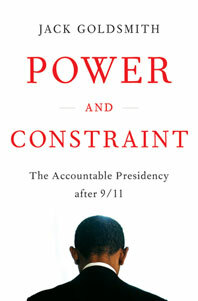 Conventional wisdom holds that 9/11 sounded the death knell for presidential accountability. In fact, the opposite is true. The novel powers that our post-9/11 commanders in chief assumed—endless detentions, military commissions, state secrets, broad surveillance, and more—are the culmination of a two-century expansion of presidential authority. But these new powers have been met with thousands of barely visible legal and political constraints—enforced by congressional committees, government lawyers, courts, and the media—that have transformed our unprecedentedly powerful presidency into one that is also unprecedentedly accountable. These constraints are the key to understanding why Obama continued the Bush counterterrorism program, and in this light, the events of the last decade should be seen as a victory, not a failure, of American constitutional government. We have actually preserved the framers’ original idea of a balanced constitution, despite the vast increase in presidential power made necessary by this age of permanent emergency.